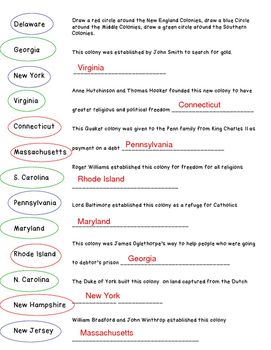 These two pages will have students color code the New England, Middle, and Southern Colonies by circling them in specific colors. 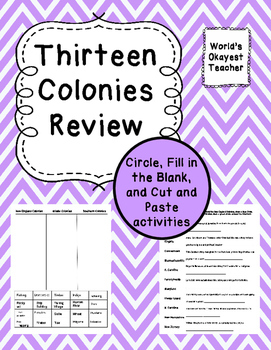 Students will also answer questions about founders and their reasons for starting colonies by filling in the blanks using the 13 Colonies Word Bank. 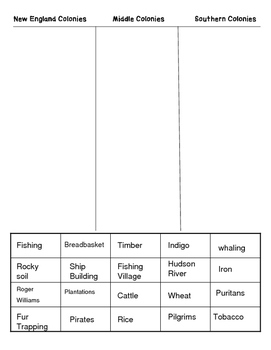 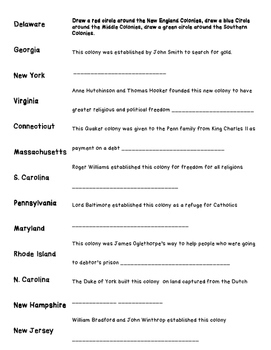 The second page is a Cut and Paste activity matching the resources to the New England, Middle, and Southern Colonies.